The spillage caused a number of minor collisions and the closure of a main road. AN OIL SPILL across Limerick has caused a number of minor road traffic collisions and the closure of a main road into the Treaty City. Motorists have been warned to exercise “extreme care” after the spillage reportedly started on the N24 at Ballysimon just outside Limerick during morning rush hour traffic. A Garda spokesman said they believed the spillage had come from crushed cars that were being transported towards Galway on a truck. “It was a truck that was spilling oil off the back of it from crushed cars. It was travelling along the Ballysimon Road towards the Childers Road to the Roxboro Road. The Roxboro Road is now closed,” the spokesman said. It then travelled towards Mallow Street and onto the Condell Road and towards Galway. The spokesman said gardai had located the truck and had made the driver aware of the spill. 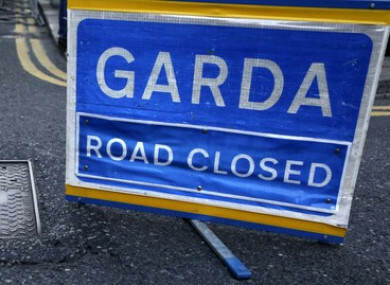 Gardai have reported there have been a number of minor traffic collisions as a result of the spillage however, there are no reports of any serious injuries. One motorist caught up in the incident described road conditions as “crazy”. Sources in the emergency services said road conditions at Ballysimon were “extremely slippy”, and advised motorists to “please proceed with extreme caution”. Limerick City and County Council, Limerick City Fire Service, Gardai, and HSE ambulance crews have responded to the incident. AA Roadwatch tweeted advising motorists to take “extreme care”. Email “Take extreme care: Truck spewing oil causes rush hour traffic chaos in Limerick ”. Feedback on “Take extreme care: Truck spewing oil causes rush hour traffic chaos in Limerick ”.